Tony Finau started using Ping's Blueprint prototype irons in the Bahamas. A recent trip to Ping Golf's Phoenix, Arizona-based headquarters revealed an interesting nugget about the company's Blueprint Forged prototype blade — arguably one of the most talked-about irons in the industry at the moment. Recent photos posted by Louis Oosthuizen and Bubba Watson — two Blueprint converts — on social media revealed a weight port in the toe that looked eerily similar to what's currently found on the hollow-body i500 and G700 irons released this year. The assumption when Blueprint was initially released was that the screw likely meant the iron had some sort of a hollow cavity for ball speed purposes. But after taking a peek inside the port of a Blueprint 2-iron, that doesn't appear to be the case. Upon further inspection, the prototype iron is made from a solid construction with no visible cavity inside. According to Ping representatives, the port was added to the head to place weight in the toe section, most likely for CG and forgiveness purposes. @pingtour Blueprint Forged Prototype 2-iron. Weight port in the toe is likely for CG, forgiveness purposes. Not hollow as some thought. Given that most players using the compact blade are looking for something that produces similar yardages to their gamer set — with maybe a touch more forgiveness — it makes sense that the better-player Blueprint design wouldn't center around a hot face and hollow construction. Beyond the solid head construction, very few details have emerged regarding the specs and release date for the iron, which remains a Tour-only offering at the moment. 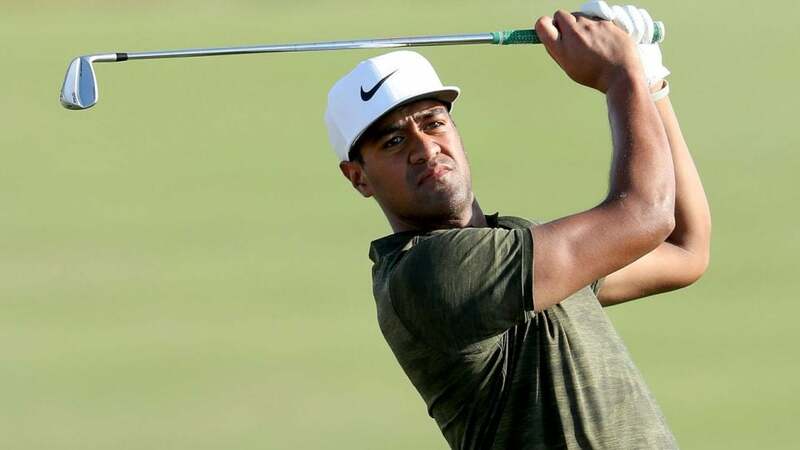 Along with Oosthuizen and Watson, Tony Finau recently added the irons at the Hero World Challenge. Given the near-immediate acceptance by three of the biggest names on Ping's Tour staff — Oosthuizen logged the iron's first win at the South Africa Open — it's very possible others will give Blueprint a hard look as the season restarts in January, especially those currently playing Ping's iBlade. Current free agents are a possibility as well.